Used daily by therapists, sportsmen and thousands of satisfied customers worldwide, Norstar Biomagnetics and Vergari Magnet Therapy products offer the most powerful magnetic solutions (based on gauss strength) that you can obtain in the UK for general well-being. Please click here if you wish to use magnet therapy products specifically for pain relief. Introduce highly-effective magnet therapy products into your daily life and feel the difference. "The first item I bought was the Norstar Power Strides, which have been marvellous. When worn constantly the stiffness in my knees disappears within an hour of using them. Also I am sure they give me the strength to lift my two toddler grandchildren when necessary." Mary Ormerod. "Before I started to magnetise my water all my fingers, joints on my hands were very swollen and I could not wear my wedding ring however all the swelling has gone and my rings are fitting again." W M Reeves. "Thank you very much for sending the Vergari Chair Pads to my daughter, I have already put one in my bed the other is a gift to a friend. In the summer, I sent a Vergari back wrap to my sister in the UK, she has a problem with crumbling hips and was in great pain; after a few hours she noticed the difference and is now pain free for most of the time. 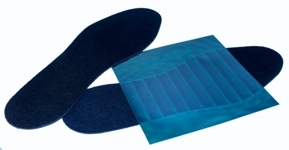 Another friend in the UK ordered a Vergari back wrap for arthritis pain; she had been house bound. The last text from her was “I'm in the park with my dogs!” I have been using the Vergari Therapist/Travel Pad as I've just had a painful lower body operation. It made a big difference sleeping without pain killers." Angela, The Aude, France. WARNING: PLEASE DO NOT USE MAGNET THERAPY IF YOU HAVE A PACEMAKER, DEFIBRILLATOR, INSULIN PUMP, OR IF YOU ARE PREGNANT. Please note that delivery charges will vary depending on your total order value, order weight and also your country of destination; the delivery charges stated for our Magnet Therapy products are TO THE UK ONLY. Our Magnet Therapy products are despatched from the UK. Therefore despatches to international destinations will cost a little more, so please enquire about the extra costs before placing your order. We recommend drinking magnetised water for overall well-being as it can help restore any condition of imbalance and help rid the body’s cells of toxicity. It has a soothing, slightly sedative effect on emotional upsets and can help normalise circulatory systems and improve energy levels. It can also be helpful in the treatment of bronchial conditions, including asthma and colds. It can also help stabilise digestive disorders and is often recommended for many conditions, including colitis, eczema, psoriasis or low blood pressure. Any water can be magnetised; it is simple - just place your jug or glass on Norstar’s magnetic Water Coaster for about 20 minutes a glass, and allow about 1 hour for a full bottle or jug. The water will hold its magnetic properties for days. Manufacturer power rating: 12,300 gauss core/1,500 gauss surface. Coaster contains: 9 x 2.5cm High Quality Neodymium magnets. Hydrated Cells = Healthier Cells. We know that water is essential for all life forms. The quality of that water is also important; all to often our water has been so filtered and processed it is often stripped so much it is ‘dead’. Anything we can do to improve the energy and efficiency in our water is a definite plus. Simply place your glass or jug on the North Pole (Leonardo side) of the coaster and leave it there for 5 – 10 minutes. It is then magnetized and will hold the increased magnetic field at it’s full potential for weeks. Once the water is magnetized, you can place your bottle in the fridge, transfer your water to a sports bottle, pet bowl, watering can, horse bucket or whatever other container you choose. Any water can be magnetised; it is simple - just place your jug or glass on our magnetic Water Coaster for about 20 minutes a glass, and allow about 1 hour for a full bottle or jug. The water will hold its magnetic properties for days. Use it in the Home, Take it to the Office, Take it when Travelling, Take it to the Gym, Take it on the Sports Field, Use it for your Animals and Livestock or Use it for your Plants and Vegetables! Include this as part of your Beauty Regime, it is so simple! Make magnetized water it a part of your daily beauty regime, or try magnetizing your favourite 100% natural face creams and massage oils. Contains 9 high grade ceramic magnets. 1000 Gauss each. Norstar's quilted, lightweight pad can be transported easily from home to the work place, and includes 30 top-grade ceramic magnets which help relieve tension in the neck, shoulder and back area. At night-time, our Stress Buster will deliver calming North Pole magnetic fields to ease you to sleep naturally, helping to increase circulation and oxygen, which encourages the release of damaging toxins. The process of detoxification and stimulation therefore encourages the cells to work as efficiently as they can in strengthening the body and improving general health. 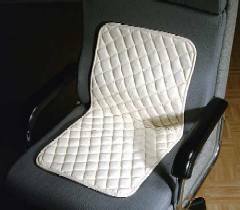 During the day whilst at work or perhaps whilst driving, you can place the Stress Buster on your chair for lower back relief. The Stress Buster is one of the most effective ways to encourage circulation whilst seated for any length of time and to help you recover more effectively for example, from jet-lag from on long haul flights. Manufacturer power rating: 3,975 gauss core. Pack contains: 30 ceramic magnets in a comfortable, lightweight quilted pad. Size: 38cm x 71cm. Suffer with sciatic pain? If so, ease your back effortlessly! Designed for use with your king size pillow or to place on a chair behind your back! This is a larger version of the Pillow Pad, originally designed as a pad for American King Size pillows, our customers saw the advantages and bought it to use in their cars, as they watch TV, for Truck/Taxi drivers whilst in their vehicles or for a child's bed. This adaptable pad will go everywhere easily. It's also a cost-effective way to try the benefits of smaller mattress pad. Lightweight enough to take on holiday if you do not want to leave the benefits of your mattress pads entirely behind. Manufacturer power rating: 3,975 gauss core. 1000 Gauss each magnet. Pack contains: 30 high-grade ceramic ferrite magnets in a plush, comfortable quilting. Pad Size: 35cm x 70cm. The washable weather proof cover is made specifically to accompany the Stress Buster. This cover enables you to take your Stress Buster pad with you in your car, at work, in your wheelchair or when travelling on long-haul flights. Benefit from Magnet Therapy wherever you go! Stress Buster Cover Size: 38cm x 74cm. For SLEEP, STRESS, HEADACHES, TRAVELLING and as part of your Beauty Regime! Designed to be both an effective product for helping combat stress and fatigue, Vergari Dynamics’ Eye Mask is also be a terrific boost for improving the skin and is ideal for migraines, head aches, stress and tension. Relaxing with the eye mask for as little as 10 – 15 minutes daily is normally sufficient to produce great results, but it can be worn for much longer periods (overnight) if desired. It is light and very portable, so make it a part of your health and beauty routine; it is known to reduce puffiness around the eyes and even reduce the appearance of fine lines and wrinkles. 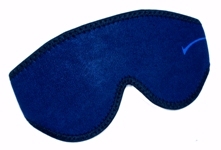 Take it wherever you go, use the magnetic eye mask at night for relaxation and also during long haul flights. 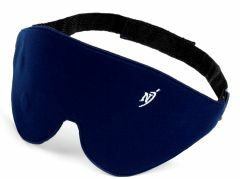 Eye Mask contains 8 High Grade Domed Ferrite magnets. 1000 Gauss each magnet. Designed to be both an effective product for helping combat stress and fatigue, Norstar’s Eye Mask is also be a terrific boost for improving the skin and is ideal for migraines, head aches, stress and tension. Take it wherever you go, use the magnetic eye mask at night for relaxation and also during long haul flights. Eye Mask contains 8 Neodymium magnets. Our Magnetic Innersoles can be used for foot, ankle, calf and lower leg pain and discomfort. We find that they are also very effective in combating poor circulation around the lower body on long haul flights, or perhaps if you work in a desk-based job. 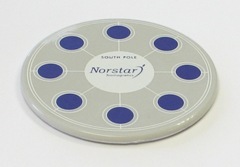 Many innersoles on the market are ‘uni-polar’ which means that they work on one side only; yet Norstar’s Powerstrides are ‘bi-polar’ and therefore, you can turn them over to benefit from both North Pole and South Pole magnetic fields. Norstar’s exclusive grid polarisation concentrates its magnetic field penetration, offering deeper relief and much stronger circulation. Our premium grade ‘Flexible Core’ contains three times more magnetic compound than popular-priced magnet therapy products. Norstar's Powerstrides stimulate every reflexology point in the foot to increase circulation and help improve energy levels. They help bring extra oxygen and blood to the foot to start repairing the damaged area and to flush out the lactic acid that has built up. Furthermore, our Powerstrides are also used extensively by athletes and top sports people such as skiers, skaters, rowers, weight-lifters, golfers and tennis players who are looking to improve circulation (warm-up lower leg and feet area), and enhance their individual performance, energy and strength. Made of flexible magnetic materials, our Innersoles are sold in three sizes (small, medium and large) and can be cut down to size. Please state desired size when ordering. They do not take up that much room in your shoes, and the results are certainly worth it. Manufacturer power rating: 2,500 gauss core. Pack contains: one pair premium grade flexible core innersoles. Made in the USA, with over 250,000 pairs sold so far. Increase your energy from the Feet Up, with Vergari Biodynamics' Powerstrides: They have literally been flying (or running) out the door. It's simple: They sell because they work! We especially recommend this product for: The elderly, athletes/sportsmen and anyone who requires leg repair and recovery, added strength, circulation and energy. Our Magnetic Innersoles can be used for foot, ankle, calf and lower leg pain and discomfort. The patented magnetic grid goes though the entire innersole. 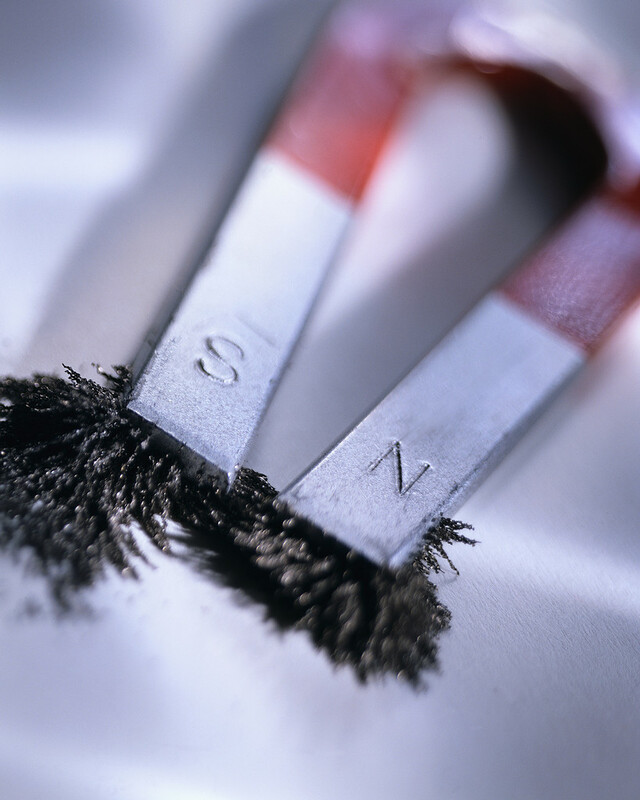 This means they may be cut to size and you do not loose any magnetic benefit. So many of you have come to realize the extra strength and stamina they give. This is because they cover the entire length of each foot and every reflexology point is stimulated not just for a half hour session, but for every hour of the day you wear them. Our magnetic grid polarisation concentrates its magnetic field penetration, offering deeper relief and much stronger circulation. Our premium grade ‘Flexible Core’ contains three times more magnetic compound than popular-priced magnet therapy products. Professional sportsmen have relied on it for years to repair and recover from injuries. Try it for pain relief, increased energy levels and to improve your circulation. As they are easy to use, they are just indispensable for our older relatives especially because they stimulate every reflexology point in the foot to increase circulation and help improve energy levels. They help bring extra oxygen and blood to the foot to start repairing the damaged area and to flush out the lactic acid that has built up. Our Powerstride Innersoles are sold in three sizes (small size UK 2-6, medium size UK 7-10 and large UK 11-13) and can be cut down to size. Please select the desired size when ordering. Pack contains: one pair premium grade flexible core innersoles. 2,500 gauss core.